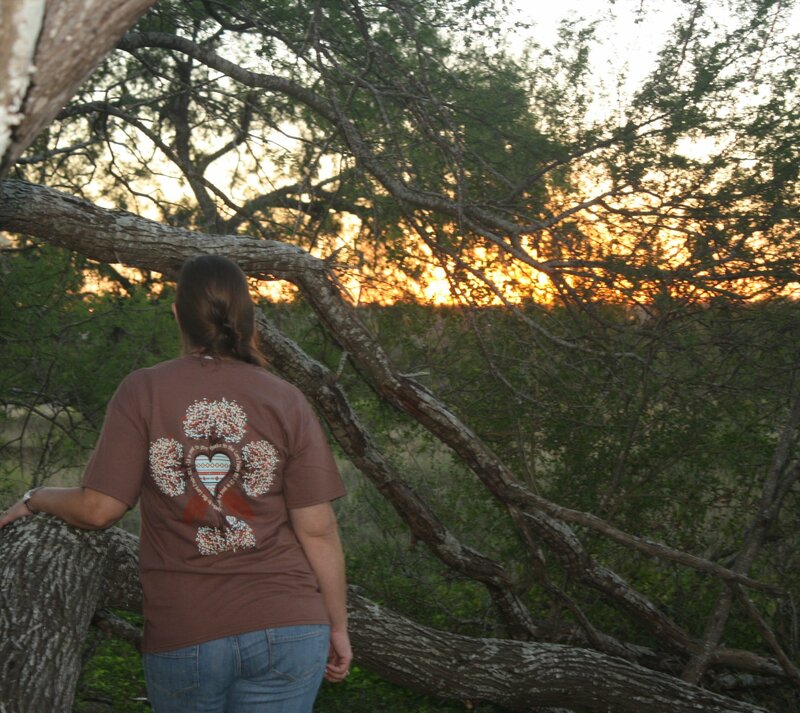 The back of the shirt features a cross made of tree branches. The leaves are red orange, turquoise, and tan. There is a heart in the center of the cross with geometrical designs. Around the heart is the verse of, "It is good to give thanks to the Lord. Psalm 92.1" Coming out of the bottom of the heart are two red orange feathers. The front of the shirt features the center heart from the back in red orange and tan.